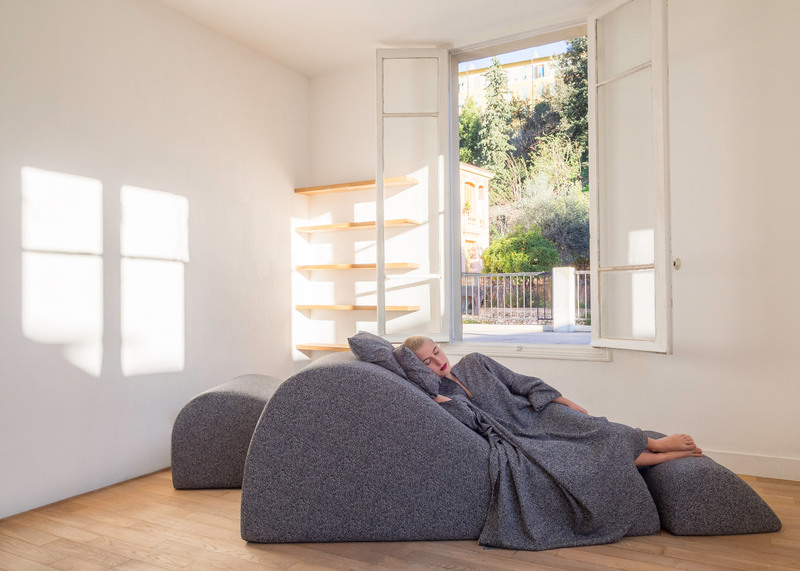 French furniture brand Smarin has created a temporary installation of soft dune-shaped lounge chairs, designed to encourage visitors to stop and take a nap (+ slideshow). 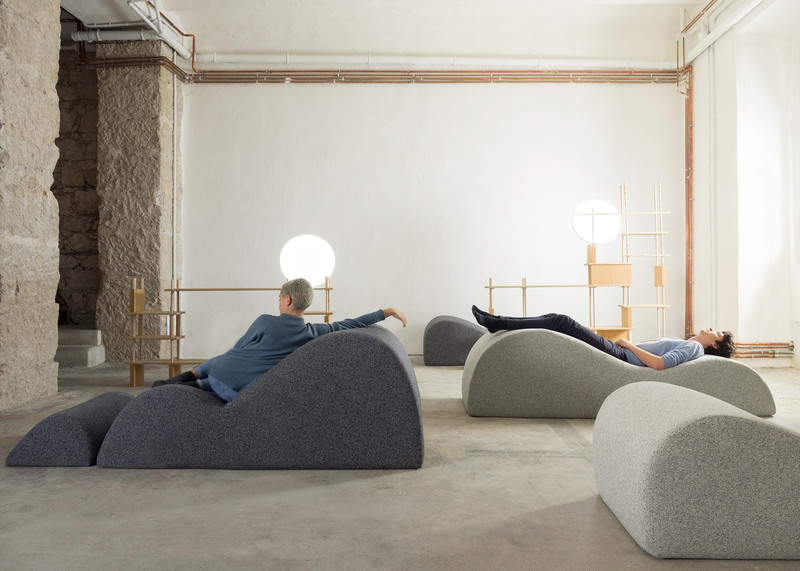 Visitors are invited to "disconnect and recharge" at the installation in the Zumtobel Lighting warehouse in Dubai, which features a variety of products designed by Smarin. 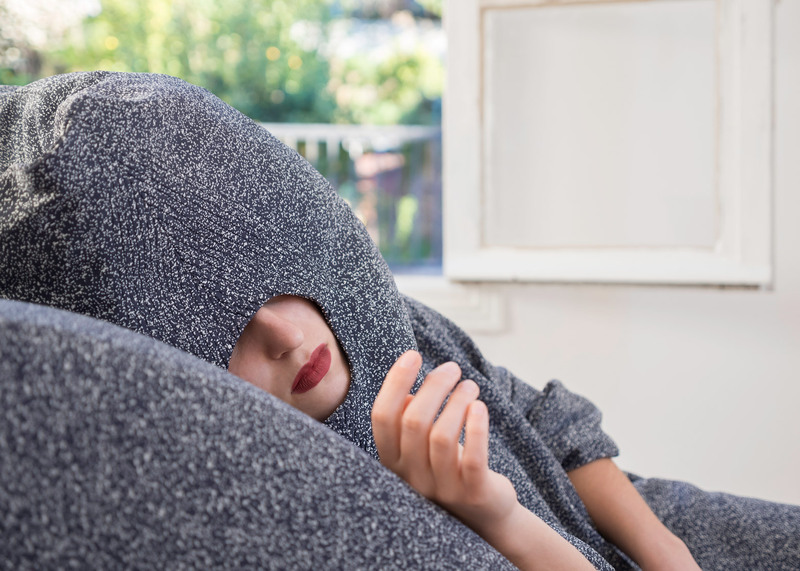 "I had the idea for the Nap Bar because when I'm walking in big cities, sometimes I take a break with a coffee but actually I need more of a real break," said founder Stephanie Marin. 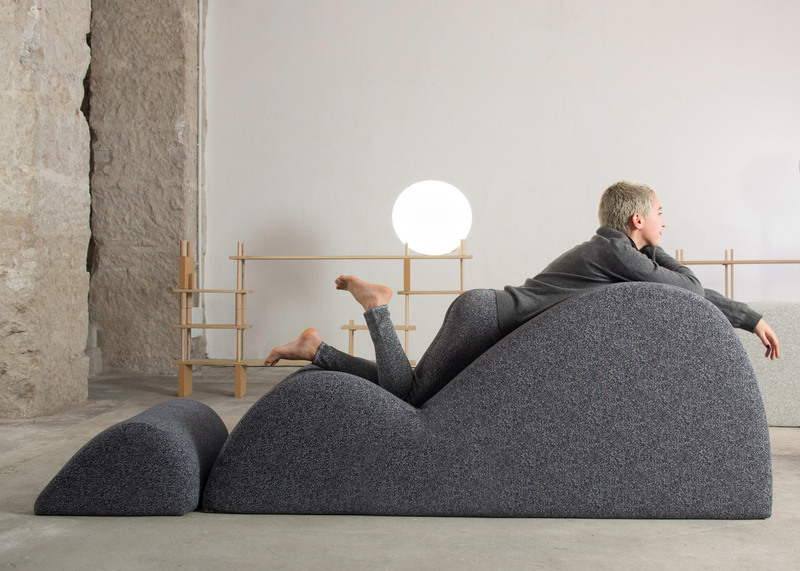 The Dune chairs are made from different densities of foam, so they are soft in some places and harder in others for varying levels of support. 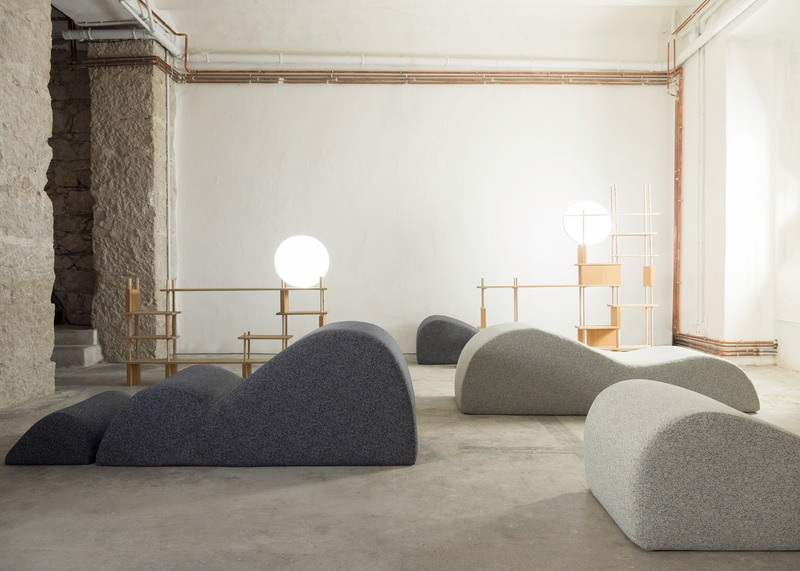 Each of the chairs is shaped differently, with some resembling gently sloping hills and others that look more like clouds. 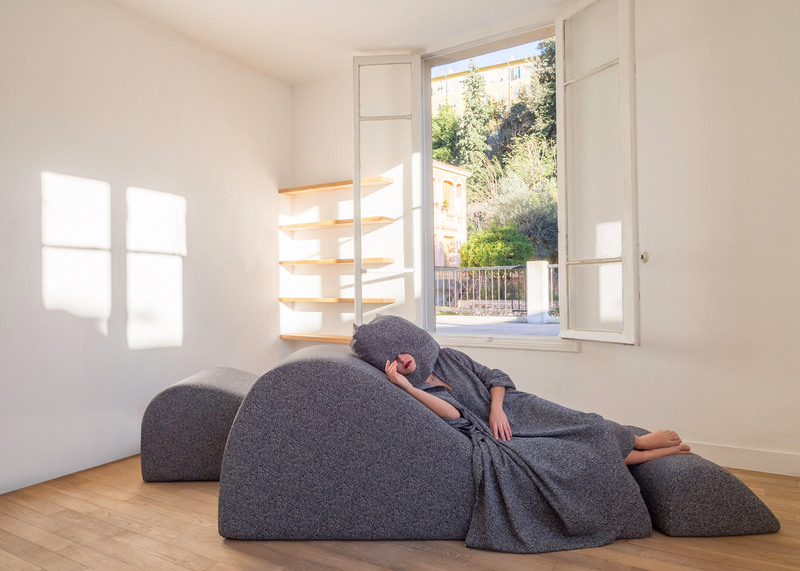 In addition to furniture, the Nap Bar is furnished with latex-filled pillows – with holes in the middle for visitors to rest their faces – wool ponchos, herbal teas and essential oils. Circular Kairos lamps hang over the furniture, and turn themselves on and off in five-second intervals to resemble breathing. Also on display is Smarin's Play Yet! modular shelving system, which is made from cork and wood, and requires no rails or screws to be assembled. 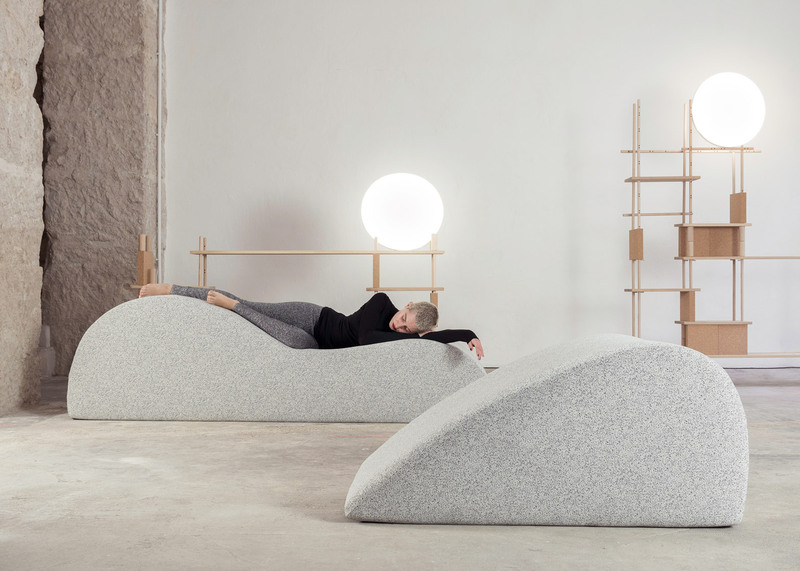 The Nap Bar will be open at the Zumtobel Lighting warehouse from 9 to 31 March 2016, as part of the Design Days Dubai and Art Dubai events. A similar "sleeperie" was shown at the London Festival of Architecture in 2015, where colourful hammocks were placed in a dimly lit room that was filled with soothing music. 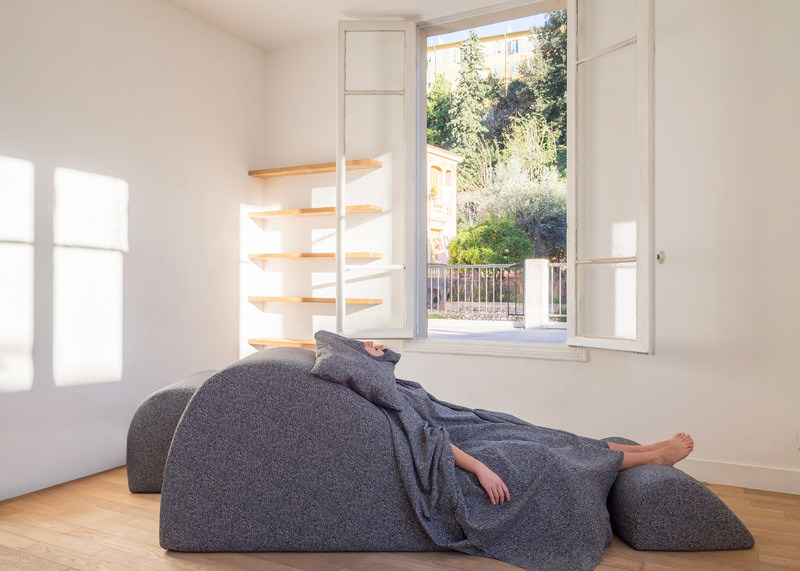 Architect Jürgen Mayer H also explored the possibilities of nomadic sleeping patterns, in his Nap Gap room created for the Istanbul Design Biennale 2014.